Put on some Enya and let's get this party started. There are very few things I enjoy more than ditching all of my plans for a night of self-pampering. But it can be difficult to figure out the right things to buy for your first DIY spa night. From face masks and cleansing scrubs to soothing candles and bubble baths, I'm here to be your relaxation guru. The Monica to your Chandler, if you will. 1. A chevron robe to kick off your evening in the comfiest of styles, designed with velour fabric so it's never too hot or too cold to lounge in. Have you ever been to a spa and NOT worn a super-soft robe? Nope, I didn't think so. 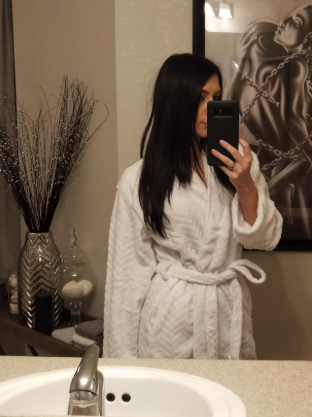 Bring that soothing experience right to your own bathroom with a little help from this velour robe. Promising review: "Cozy, warm, and soft, just the right thickness to keep you comfy and not overheated. I've washed it twice and it's keeping its shape and quality. It's even fluffier after a wash and tumble in a warm dryer. Only problem, my dog wants it for her blanket! I got the bright pink color and I love it :)" —Dini.E. Get it from Amazon for $24.99 (available in sizes XS-3XL and in 10 colors). 2. 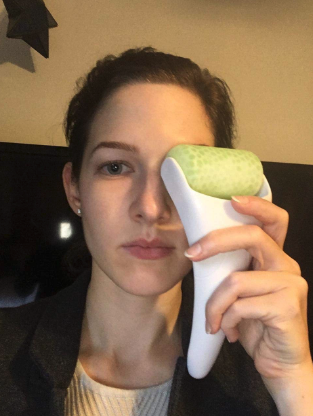 An ice roller, which is said to help decrease under-eye puffiness, minimize fine lines, and shrink pores — as well as to relieve headaches and sore muscles. My sister bought me this gem of a product for Christmas and my life hasn't been the same since. It's my favorite thing to start my pampering with, but I also use it in the morning before I apply any makeup. All you have to do is pop the separate roller piece into your freezer and you'll be ready to de-puff in no time. Get it from Amazon for $11.99 (available in five colors). 3. 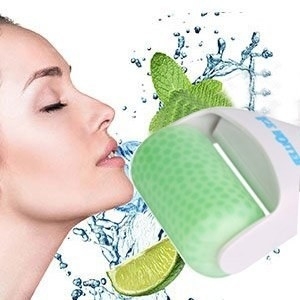 A rechargeable handheld deep-tissue massager with percussion technology and numerous attachments that'll help relieve sore muscles — for a fraction of the price of visiting an actual spa. Whether you've had the best week ever or you're in desperate need of some me-time, this massager is sure to improve any kind of mood. 4. This organic six-pack of bath bombs, which transforms an ordinary bathing experience into one filled with unique, therapeutic scents like "Hawaiian Massage" and "Afternoon Rain." If you haven't tried a bath bomb yet, what are you waiting for!? All you need to do is fill up your tub, drop one in, and let the bomb do its job. This set is filled with moisturizing, natural ingredients that will leave your skin feeling soft and rejuvenated. Get it from Amazon for $13.95+ (available in sets of six, eight, and twelve). 5. An aromatherapy lotion and body wash set with eucalyptus and spearmint essential oils, designed to create the ultimate spa-like environment — so take a deep breath and soak in all that stress-relief goodness. This lotion/body wash combo pack was gifted to me when I was super stressed out from planning my wedding — and it has become part of my spa routine ever since. The Stress Relief scent really does its job. I also love that the lotion bottle is glass, which lends a much-appreciated touch of class. Get it from Amazon for $24.31. 6. 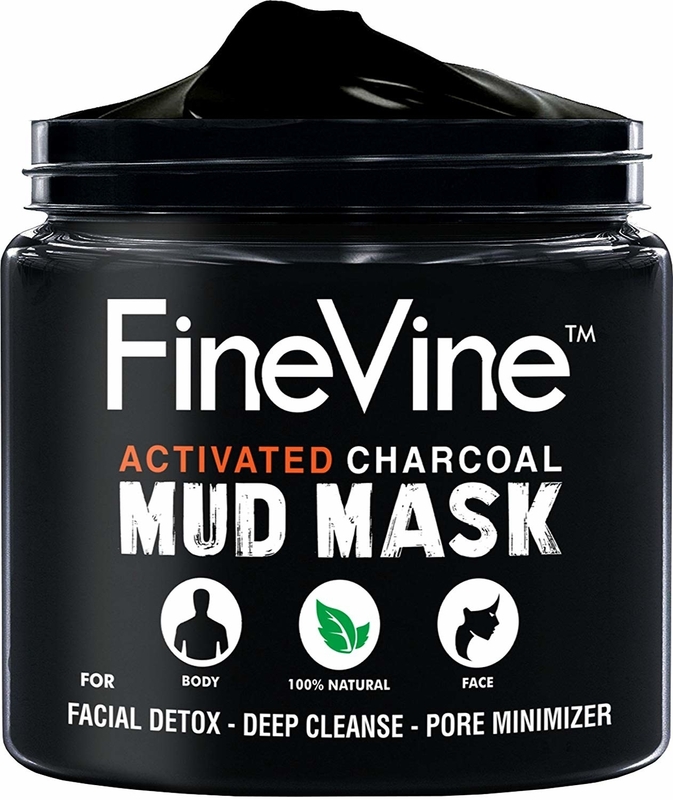 This activated charcoal mud mask that's designed to target acne, minimize pores, and remove dead skin cells. Oh, and it's really fun to apply with a friend! 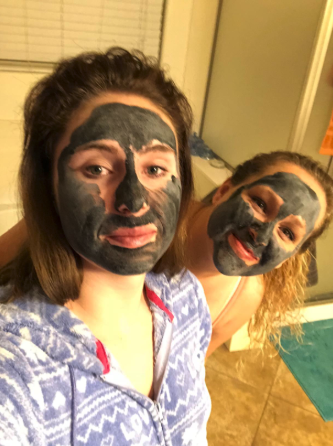 I ordered this mask on a whim for a girls' night in with my sister — and boy did it deliver. My sensitive skin always feels much cleaner and softer after applying this mask. 7. A reusable gel therapy and silk sleep mask set so you can get the most out of your beauty rest — the gel mask can be either chilled or heated up to alleviate puffy eyes and discomfort from headaches. Whether you choose to head off to dreamland wearing your gel mask or you'd rather channel your inner Audrey Hepburn with the sassy eyelash sleep mask, this set is perfect for topping off any at-home spa night. The gel mask soothes tired eyes, and the sleep mask prevents any early morning light from waking you up. Fabulous! Get it from Amazon for $9.95 (available in four styles). 8. A bar of soap naturally scented with lavender buds and rose petals that gently remove dead skin cells as you wash up, to relax both body and mind. One of the most fun parts of hosting a night of relaxation in your own home is putting the aesthetically pleasing products out on display to enjoy at all times. This chic bar of soap is as cool to look at as it is nourishing for your skin. Get it from Temple Zen for $8. To all my fellow crystal-loving gurus — you're going to love this soy-wax candle. I admittedly have one of each kind, because you can't get enough good vibes in your home! My favorite is the amethyst quartz as it represents spiritual growth and healing in addition to having a lovely lavender scent. Get it from Uncommon Goods for $22 (available in three scents). 10. A canister of bath salts with a blend of 100% vegan blue clay, eucalyptus, and lavender for the ultimate spa-night soak. 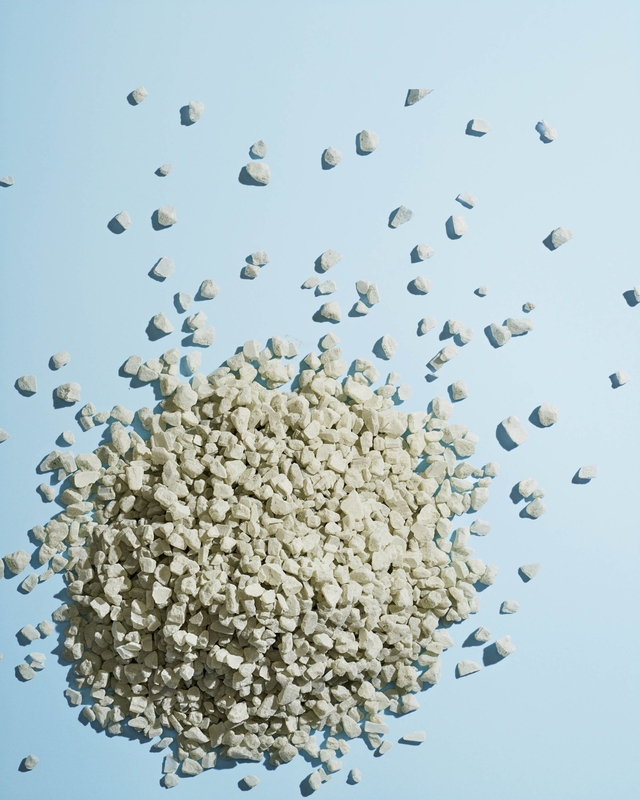 Close your eyes and picture this: your bathtub filled to the brim with hot water. The steam is slowly rolling off the top. 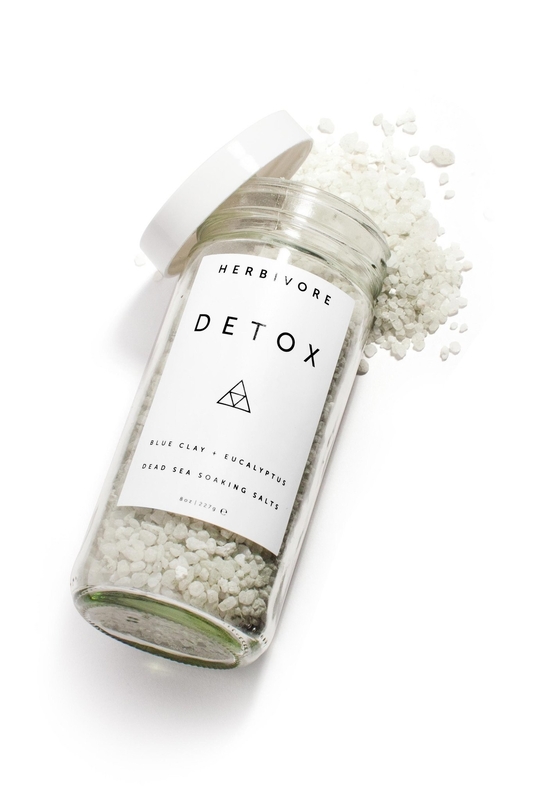 You step in slowly and inhale the subtle scent of Herbivore's Detox soak. Ah. Don't you feel better already? 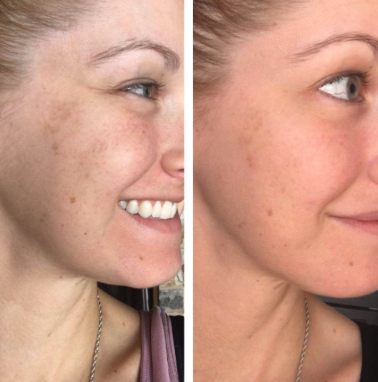 Promising review: "After using this product, my skin has less redness. I also soak in these bath salts before shaving and notice that I have less ingrown hairs. I would highly recommend Detox if you have any type of problem skin!" —Jamie B. 11. An organic cotton plush towel to dry you off before the next phase of your spa night that's low in lint, highly absorbent, and gets softer after each wash.
Is there anything better than stepping out of a hot bath or shower and being enveloped in a super-soft towel? I think not. Get it from BuzzFeed's Goodful line, exclusively at Macy's, for $19.99 (available in six colors). 12. 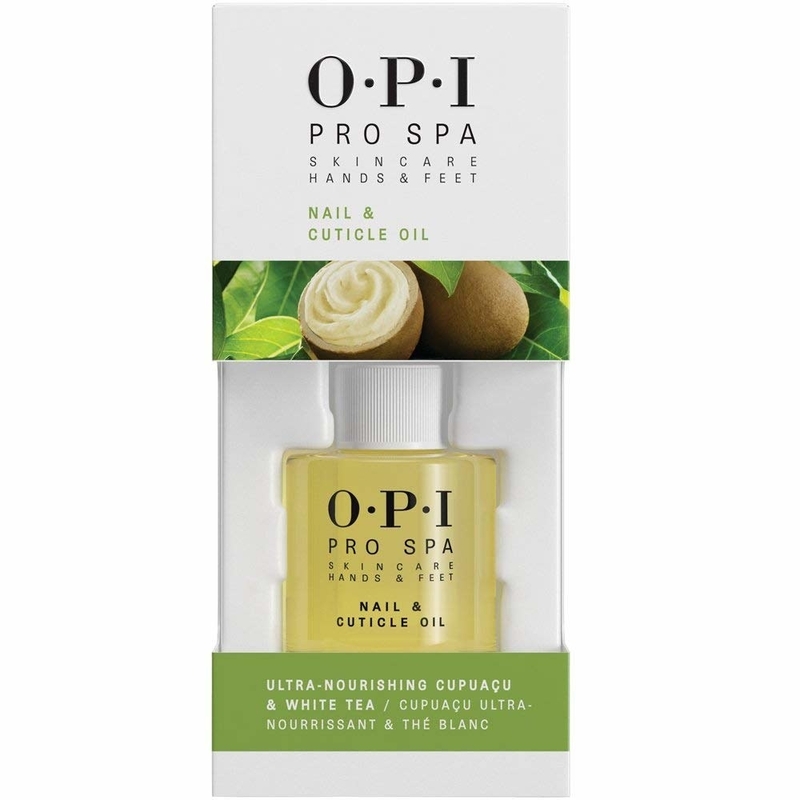 A lightweight, fast-absorbing cuticle oil made with grape seed, sesame, kukui, sunflower, and cupuaçu oils, for a simple but luxurious at-home manicure. A fresh mani can change your entire mood if you ask me. However, long waits and high prices at a salon can often sour the experience. Enter the at-home manicure! 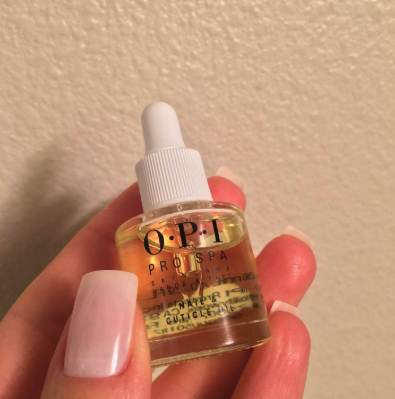 Don't just slather on polish carelessly — set the scene with candles and calming music then get started by using this fancy (but inexpensive) cuticle oil. 13. 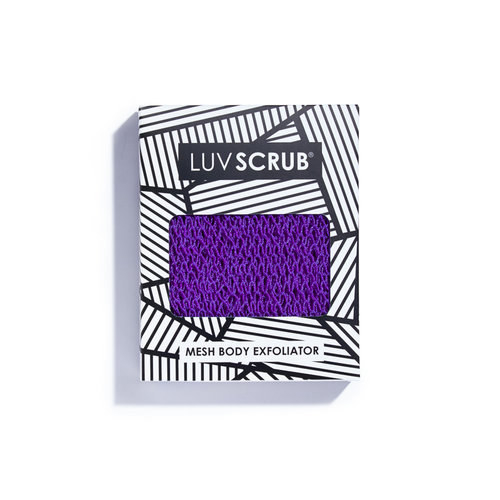 This mesh Luv Scrub exfoliator, which is designed to help remove dead skin cells — plus it lasts for up to 18 months, and doesn't breed bacteria. Seriously, you can throw your loofah away. This products smooths and cleans skin beautifully! It's long enough that you can scrub your back without assistance (imagine!?) 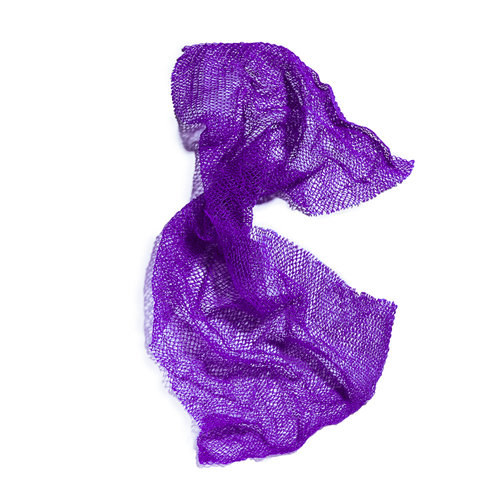 making it the perfect accessory for a solo spa night. Promising review: "I have tried many different exfoliants and none of them have made my skin as soft as the Luv Scrub. I love how I can have that soft smooth skin feeling without having to do anything extra like applying lotion after. Just wash and go!" —Kristy B. Get it from Luv Scrub for $18 (available in five colors). 14. A diffuser with a classy wood-grain look and seven soothing LED light options, to create a spa-like environment you'll never want to leave. The first thing I notice upon walking into any spa is the lingering scent of calming essential oils. Bring the magic of that experience into your own at-home spa by adding this diffuser into the mix. This one holds 300ml, making it ideal for a bedroom or living room. Feel free to let it run as you prepare to fall asleep; it has an auto-off option that lasts from one to six hours. Get it from Amazon for $27.99 (available in five colors). 15. This set of 16 essential oils, because you need something to fill that diffuser with! These therapeutic-grade oils are 100% pure and unadulterated. I received this set for Christmas (it's pretty clear I have weekly spa nights, right?) and love making various combinations. Not only are they great for relaxation, but certain scents will also help relieve headache pain, stuffed sinuses, and muscle pain. You can also add a few drops directly into your bath water if you don't have a diffuser. 16. This classic epsom salt soak, a tried-and-true product that uses a mix of ginger and clay for detoxifying and energizing your body. You can keep your spa night short and simple with this recognizable epsom salt soak. Add a handful into your bath water and let the salt work its magic. This product is my go-to after any long day on my feet or intense workout. A 20-minute soak should help to relive sore muscles and relax your mind. Get it from Amazon for $8.26+. 17. A lavender-scented Woodwick candle that sounds like a crackling fire when you light it, essential for any winter spa situation. Don't have access to a real fireplace? Look no further: This candle has got you covered. I break this bad boy out on super-cold nights. It makes me feel like I'm being pampered in the lodge of a fancy ski resort. Note that after you burn it you will need to trim off the tip before lighting it again. Get it from Amazon for $23.93. 18. This shea butter body cream infused with grape seed and jojoba oils, in addition to vitamin E and aloe vera liquid, to seriously hydrate your skin. Don't just use this lotion during spa nights — use it every day! Get it from Amazon for $15+ (available in two sizes). 19. A compression face mask formulated to boost hydration, brighten, and plump your skin, and brighten skin — not to mention it has a wonderful rosy scent. This isn't your typical face mask, people! You can either chill it in the fridge for 10 minutes or heat it in hot water and you can use it multiple times (as long as it's within 48 hours of first use). It is made with naturally derived active ingredients and features ear loops and a chin strap, so you can even paint your toes while wearing the mask. Get it from Amazon for $15+ (available in sets of one or four). 20. A fancy coconut milk bath soak that makes you forget you're squeezing into a tiny tub in your apartment and not lounging in extravagant Roman baths. I can't get enough coconut milk in my life, TBH. This product from Herbivore Botanicals is made with coconut milk powder, making it deeply hydrating and skin-softening, as well as a great aid in reducing skin inflammation. The best part? It leaves you smelling like coconut and vanilla. Yum! Get it from Amazon for $18+ (available in two sizes). 21. 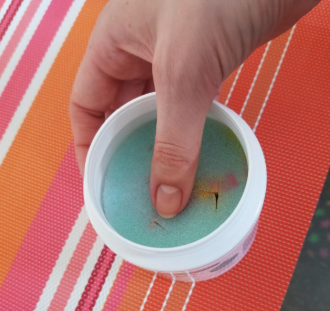 This nail polish remover, which takes the color off your nails with a few twists and moisturizes your hands with vitamin E and aloe at the same time. If there's one product on this list I would lay my life on the line for, it would be this one. As someone who is constantly changing up their nail color (it relaxes me, OK?) this remover takes all the hassle out of the process. It's so easy to use and way less messy than dabbing with a handful of cotton balls. 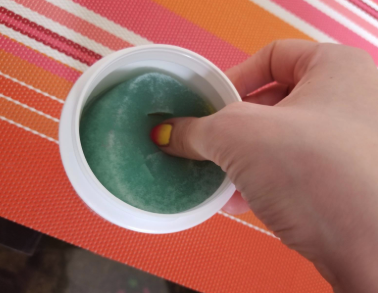 Pro tip: When the remover dries out, simply pour some from another bottle into the sponge. Good as new! Get it from Amazon for $9.49 (available in packs of one or four). 22. A 24K gold eye treatment that's as fancy as it gets: It's said to remove toxins from your skin and increase blood circulation. The under eye mask also helps reduce wrinkles, dark cycles, and puffiness around eyes. It's a must-have for a spa night at home with your girls — everyone will love the fabulous feeling these golden masks provide. Get it from Amazon for $19.97 (one set includes 15 pairs). 23. Body lotion you can use in the shower, for a lazy but still productive spa session at home. Perfect for when you're craving a full spa night but only have time for a hot shower, this body lotion will fill the void and leave you feeling moisturized but not sticky. My first interaction with a nightly beauty routine came from my grandma who refused to go to sleep without applying Nivea. I can keep that tradition going without sacrificing any of my precious Netflix minutes thanks to this. Get it from Amazon for $4.86+ (available in a pack of one or three). 24. A bubble mask that moisturizes while providing giggles for days. This version of the ever-popular bubble mask is amazing for removing blackheads and exfoliating pores. You'll love watching the mask foam up in front of your eyes in addition to how easy it is to rinse off. 25. This rose-quartz roller and gua sha said to improve your skin tone, texture, and blood circulation — excellent for a DIY spa night and for beautifying your bathroom counter. Once you give either of these items a try, you may never go back to your old skincare routine. I personally have this rose quartz roller and I am o b s e s s e d. I love its overall aesthetic in addition to how effective it is. After removing my makeup for a night of pampering, I prep my face with this roller. It's cool on my skin (without my having to chill it in the fridge) and does an incredible job decreasing the puffiness under my eyes. If you want to take things to the next level, try sliding the gua sha over your skin to massage it without any aggravation. 26. A subscription to Lunarly that brings a combination of tons of products perfect for a night of self-care right to your front door. Each month you will receive an assortment of treasures like incense, crystals, candles, and houseplants. Inspired by the new moon, this kit encourages you to relax, set intentions, and work to be your best self. What more could you need? Get it from Lunarly for $40+. 27. 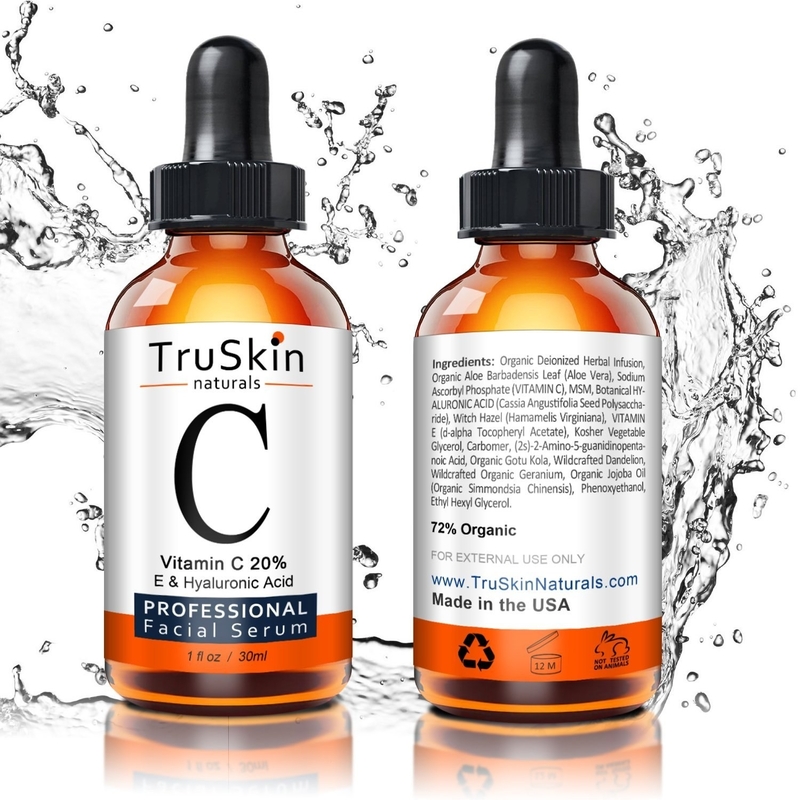 A cult-favorite vitamin C serum made with a plant-based formula and antioxidants to help brighten and firm skin. Want to get fancy? Drip some of this serum onto your face and then grab your quartz roller. Use the roller to delicately rub the oil in, getting it deeper into your pores and massaging your face at the same time! Win-win. Read a full review of it here. Get it from Amazon for $19.99+ (available in three sizes). 28. A waterproof speaker so you can easily incorporate relaxing music into your at-home spa sesh. What would a spa visit be like without the soft, soothing music? There is something so calming about closing your eyes, wearing a face mask, and soaking in the sounds of a waterfall or a harp — or whatever sounds makes you feel most at peace. 29. Facial moisturizer that uses safflower oil to help hydrate dry skin and keep you glowing even during the coldest, windiest months. Get it from Amazon for $5.39+ (available in three sizes). 30. And an infusion pitcher so you can recreate the ever-refreshing cucumber water every spa seems to have on tap. What would a spa night be without infused water?! Every establishment I've ever had the pleasure of visiting has offered me cucumber water the moment I entered the door. I refuse to compromise on this for my own night of self-care regardless of whether I'm home or not — and you shouldn't have to either. Get it from BuzzFeed's Goodful line, exclusively at Macy's, for $28.99.